Whether you’re looking for the perfect engagement ring, newly engaged or simply spotted a must-have engagement ring for “one day” – make sure you know how to take the perfect photo that shows off the ring at its most scintillating. Follow our brilliant tips on how to take a sparkling #ShimanskySelfie of your ring (or ring-to-be) by visiting your nearest Shimansky store and send it to us for a chance to be featured on the Shimansky blog or social media pages! If you are looking to get creative and show off your ring in a uniquely stylish way, make it your main subject, completely independent of the wearer and find a gorgeous flower or colourful textured background to take your shot. Remember to focus on the ring and aim to get it as sharp as you can. 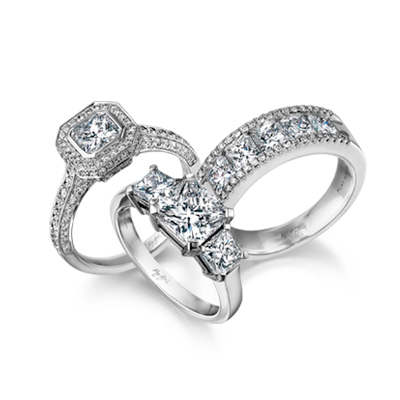 You want to ensure that you are showing off the best design feature of the engagement ring. Every Shimansky design is especially crafted with love so try shooting different angles of your selected ring to capture its brilliance. If you love the shape of the diamond, try an overhead shot (but remember to skip the flash). Who doesn’t rely on Valencia or Xpro to turn any photo into a work of art? So, if all else fails add a filter to your#ShimanskySelfie and voilà. If you are taking a picture of your own ring, try taking your shot outdoors in natural light as a diamond needs light to show off its sparkle. If you are indoors, try taking it by a window where natural light shines through, or opt for a cool white light as opposed to a yellow tungsten light. Unleash your inner photo stylist! Choose a complimentary background – try holding your ring hand above the diamond jewellery counter in the Shimansky store (this says: out of all the rings in the store, I choose this one) or if you’re at home, find a beautifully patterned pillow to serve as the backdrop of your #ShimanskySelfie. Try not to use the zoom on your camera – rather physically move your phone back, this will make your photo look less pixelated.